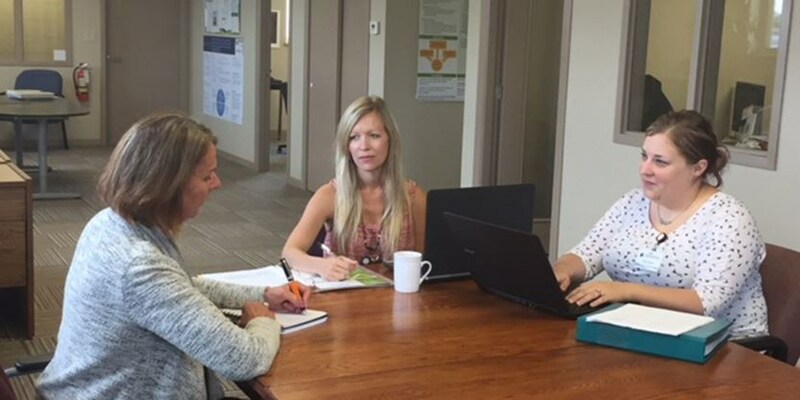 Gateway Centre of Excellence in Rural Health, in Goderich, and Nipissing University are once again collaborating to provide placement for community projects as part of the Nipissing University Distance Learning Program. This semester, a registered nurse and vice-president of the Gateway board of directors, Gwen Devereaux is mentoring two nursing students. This is the third cohort of nursing students that Gateway has hosted. Devereaux stated she really enjoys assisting these ambitious and dedicated students who are working full time in our communities and at the same time, carrying out a study and placement program, that over five years will lead to a bachelor of science in nursing (BScN). Stefani Hickmott is currently working on her third year of the bachelor of nursing degree from Nipissing University.